The Delaware Library Catalog is available 24 hours a day to browse what all Kent and Sussex Libraries have “in stock”. 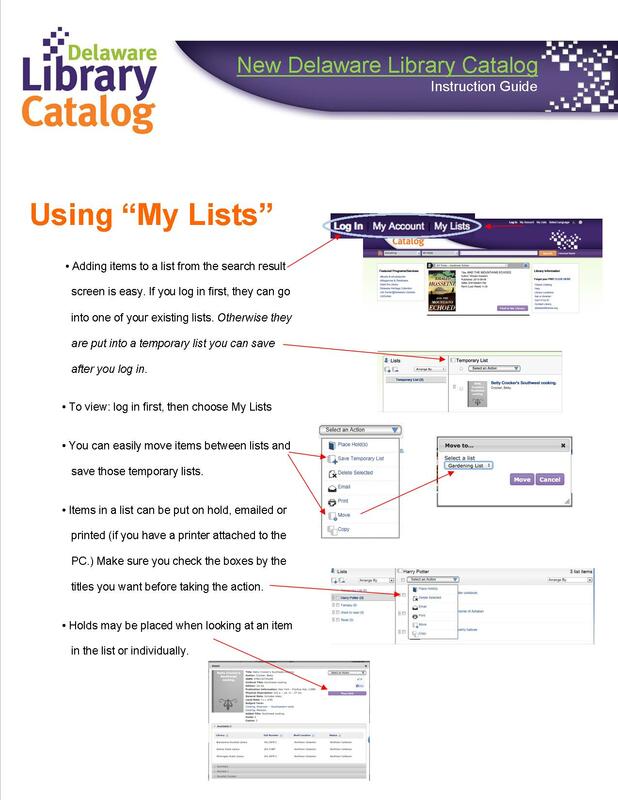 You can also renew your items, place holds for new materials, and do research with free databases such as Auto Repair Reference, Heritage Quest Online, and World Book Online. 2) Choose “Log In” or “My Account” & type in your 14 digit library card number for the User ID. Your PIN is generally a four digit number (ask a librarian if you forget yours). 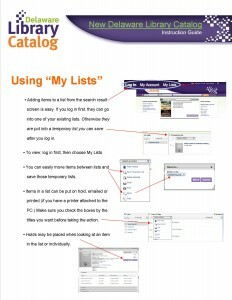 Using ‘My Lists” is a great way to organize your reading. It can save space on your actual holds list as it will keep a list of books you want to read until you are ready or have space to put it on your holds list. You can also make lists of books or movies you have read or watched. Click on the image to make it larger and use your browsers “Back” button to return to this page.